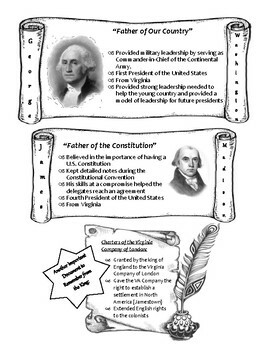 A study guide that includes important figures Thomas Jefferson, James Madison, George Mason, and George Washington. It also includes all important documents that these men were responsible for writing. Includes important facts about changes in America after the Revolutionary War.